- only 37 minutes from Copenhagen. A distinctive building designed by the architect Palle Leif Hansen and built in 1981 using natural materials, red brick, red roofing tiles and untreated pine ceilings. The perfect setting for courses, conferences, meetings etc. Bymose Hegn is set in 7.5 hectares of land with a forest as its nearest neighbour. This is the right place to come if you want to be alone - a beautifully restored farm in the middle of a huge park. All our teaching rooms are designed for teaching purposes. The staff are always on hand - and they are always professional. Good service is a natural feature of all our activities. Our first-class restaurant turns your daily meals into a very special experience. We can always suply vegetarian meals and meet special dietary requirements, and you can also order a special meal for your last night. There are plenty of outdoor and indoor activities to help you relax after a long day. 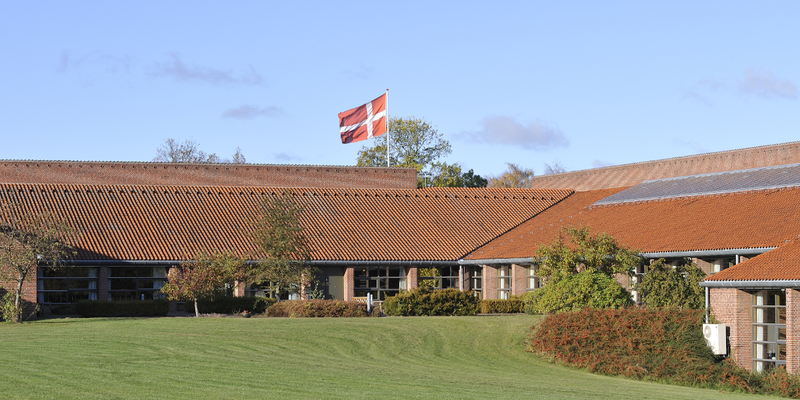 We have a central location in North Zealand, only 37 minutes' drive from Copenhagen on good roads (motorway/highway). It takes just under an hour by public transport. 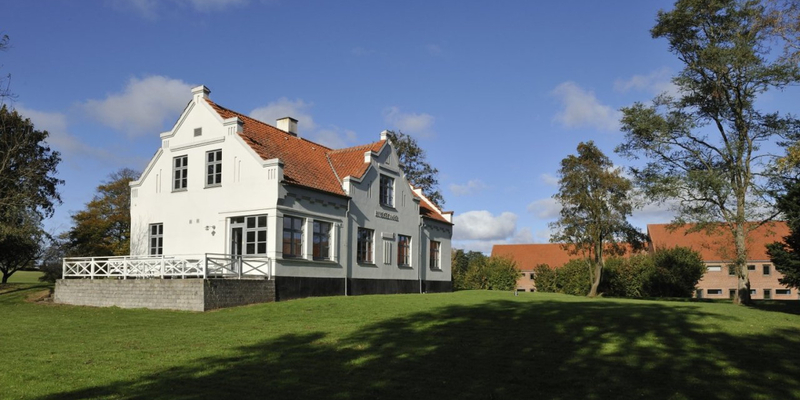 Try Bymose Hegn Hotel & Course Centre. We make it fun to learn something new ...! We offer 112 bright newly renovated, tastefully furnished double rooms with private bath, toilet, radio, TV with satellite programs, desk, telephone, trouser press, iron and hairdryer. All rooms are situated with beautiful nature views. When you select Bymose Hegn as the setting for your next course, you choose much more than meeting rooms, rooms, food and price. You choose flexibility, commitment and opportunities for optimal and exciting learning environment. At Bymose Hegn we have consultants and trainers and the opportunity to use a wide range of specially-produced learning tools and process tools for serious teambuilding for those who want to break with old routines and habits in the meeting process. We make AV and IT a high priority, therefore, we constantly update our equipment to meet the demands and desires that may come from our customers. In all plenum rooms we have LCD projector, white screen canvas, DVD, VHS and stereo. Free wireless network anywhere in the house. At the reception we have been set up workstations with PC and printer for free. Bymose Hegn has a large “Climing Hall” (Klatresal) - it can accommodate up to 150 people in theater style seating. Furthermore, there are 4 modern plenary rooms and 18 group rooms for 8-40 people. All conference rooms are well-appointed and with comfortable conference furniture. 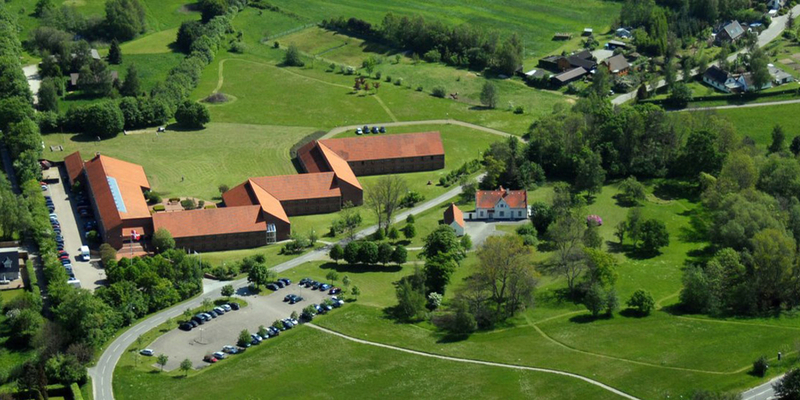 Bymosegård (which is 100 meters from Bymose Hegn) can accommodate 25 people. The house has 1 conference room, 4 group rooms and a café. Bymosegård when you want conference all by yourself! We are situated 5 minutes from Hillerød Highway (E16) - 35 minutes from Copenhagen City and 50 minutes from Copenhagen Airport. Highway all the way. Helsinge station is located 6 minutes within walking distance of the hotel connected to Hillerød and Copenhagen every 20 minutes.